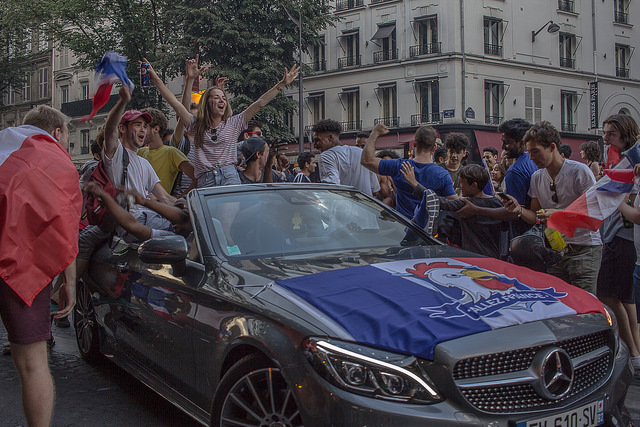 The 17th-century philosopher and satirist Jean de La Bruyère once quipped that, ‘Corneille portrays men as they should be, Racine depicts them as they are.’ For Europeans, and even more so for the French, the 2018 World Cup was a Corneillian event. The month-long soccer tournament in Russia offered an enchanted respite from a tumultuous world and revealed the better angels of our nature. In the counter-reality of the tournament, a mood of self-confidence, altruism and openness to the ‘other’ prevailed. At least for a while, the chauvinism, alienation and despair that have dominated this era of populist nationalism seemed to be forgotten. Geographically speaking, all four of the semi-finalists—France, Croatia, Belgium and England—hailed from the Old Continent. Denounce Europe for its supposed weakness and decadence all you want. When it comes to the world’s most popular sport, Europe is king. Moreover, it is clear that Africa is the soccer continent of the future, whereas Latin America is the continent of the past. Having won the cup in 1930 and again in 1950, Uruguay was once the smallest country (by population) to reach the final. But that honour is now shared by the brave team fielded by Croatia, the newest EU member state. In stark contrast to the ‘real world’, the two leading powers, the United States and China, played no role in the tournament. 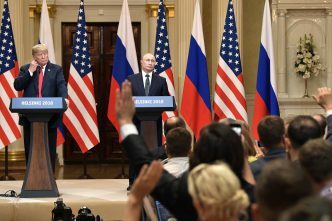 Former US Secretary of State Henry Kissinger’s dream of turning the US into a great soccer power has proved to be more difficult than he had hoped. And China under President Xi Jinping remains a soccer lightweight, despite having invested billions of dollars in the sport. Instead, North America was represented with brio by Mexico, and Asia by Japan and South Korea. The strange divergence between the real world and the world of soccer this year was also evident in expressions of nationalist emotion. The great Argentinian writer Jorge Luis Borges once condemned the sport for its role in fuelling toxic forms of nationalism (such as the short-lived ‘Football War’ between Honduras and El Salvador in 1969). 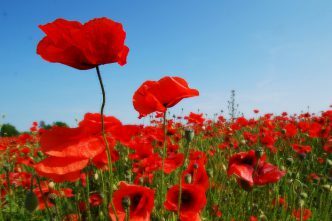 But in the 2018 World Cup—a century after the end of the nationalist bloodbath that was World War I—a ‘soft’, even gentle nationalism prevailed. Russia is hardly an exponent of soft power, yet it deserves credit for the absence of violence during the tournament. International press reports showed Ukrainian and Russian fans fraternising like old friends. 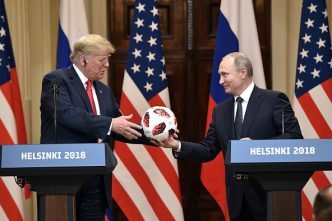 Whereas the Vietnam War–era Woodstock festival exemplified the slogan ‘Make Love, Not War’, the de facto slogan of the 2018 Cup seems to have been ‘Balls, Not Bombs’. In addition to channelling a more constructive form of nationalism, the semi-finalists and their fans also embodied effective collective action, altruism, openness and tolerance. Interestingly, the teams that relied on a single star player—whether Cristiano Ronaldo of Portugal, Lionel Messi of Argentina, or Neymar of Brazil—all failed to advance beyond the quarter-finals. In the real world nowadays, people are increasingly tempted to erect walls and close themselves off from ‘others’. And yet, the strength of the winning team, France, was in its diversity. This year’s chant of ‘Liberté, Egalité, Mbappé’ (for the 19-year-old French forward Kylian Mbappé) was a more enlightened version of the slogan from France’s victory in 1998: ‘Zidane for President’. On the eve of the 2017 French presidential election, many political commentators repeated the mantra, ‘never two without three’. After the United Kingdom’s Brexit referendum and the election of US President Donald Trump, they warned, a victory for Marine Le Pen of the far-right National Front could complete the trifecta. Similarly, at the start of 2018, many French commentators seemed to think that we were approaching another ‘May 1968’ or ‘December 1995,’ when mass strikes and street protests paralysed the entire country. 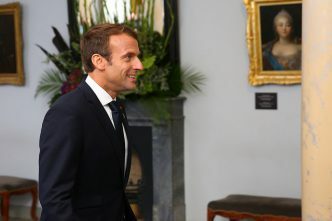 Although there have been limited strikes against French President Emmanuel Macron’s reform agenda, these commentators got it wrong. The closest parallel to this year is not 1968 or 1995, but 1998, when France first won the World Cup. Domestically, France’s victory likely will have little effect, if any, on Macron’s popularity. Soccer emotions are intense, but generally fleeting. On the international scene, however, France’s win could have a longer-lasting impact. No one can deny that ‘France is back’, at least in terms of soccer. The country has emerged as an oasis of dynamism, realism and youthful enthusiasm, much of which is also reflected in Macron himself. An obvious foil is Germany. Usually a soccer powerhouse, the German team was eliminated in the first round of this year’s tournament, just as its politics were entering a deeper malaise. In geopolitical terms, if one were to name just two winners this year, the titles would have to go to Russia and France. Dominique Moisi is senior counselor at the Institut Montaigne in Paris. This article is presented in partnership with Project Syndicate © 2018. Image courtesy of Flickr user NightFlightToVenus.